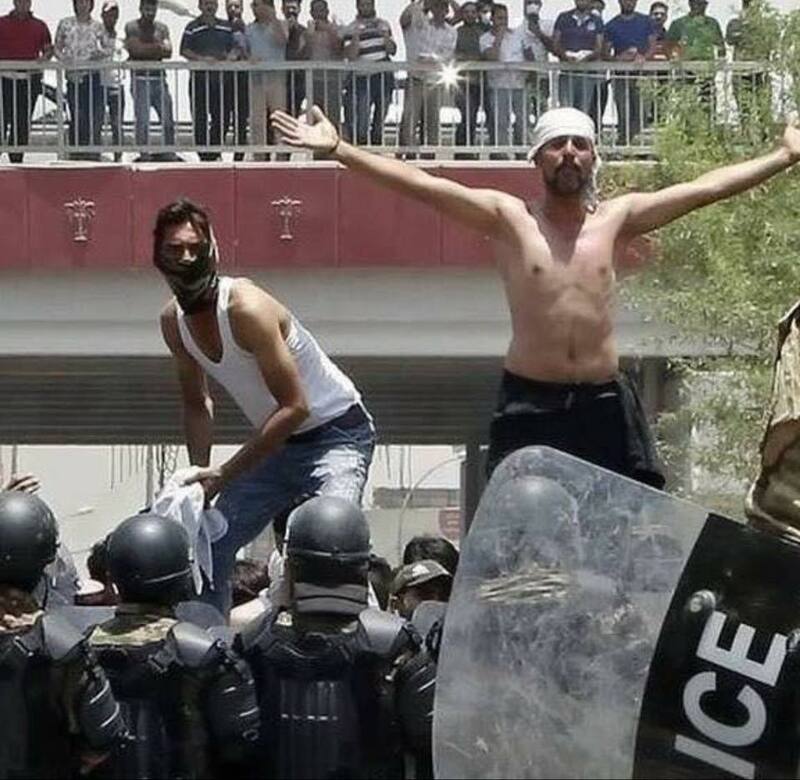 As the demonstrations grew more widespread, the Iraqi government reinforced security forces and riot police in the southern provinces. These forces engaged in fierce suppression of demonstrations, frequently shooting at the protesters, causing casualties the full extent of which is not yet known. In Basra, a group of protesters called on the government delegation that came to negotiate to go to the place where one peaceful protester, Saad al-Mansouri, died. The government crackdown has led to an escalation of violence and clashes, including some attacks by demonstrators on foreign oil companies and political party offices. Demonstrations spread to the Najaf airport viewed by protesters as a symbol of the corruption of the ruling Dawa party, which has run the airport for 15 years. It has no benefit to the city and is controlled by the ruling party’s powerful.Later, protesters gathered outside the headquarters of the ruling parties of the province, attempting to break in. Guards at the headquarters then fired at the demonstrators, causing unknown losses. The Iraqi Prime Minister Haider al-Abadi conceded in his weekly press conference on Tuesday, July 17th, that Iraqis have a right to demonstrate, which is guaranteed by the Iraqi constitution. He also stated clearly that the majority of the protesters were peaceful and admitted that in some cases it was the so-called “oppressors”, the security forces, who sparked the violence. Many activists and demonstrators hold the Iraqi government and Abadi responsible for the repression and intimidation, pointing out that Abadi was fully aware, from the outset, of all the tactics used to suppress the protests, and that everything was carried out with his knowledge and approval.The protesters, moreover, assert that they have been overwhelmingly peaceful and committed to nonviolent struggle. They argue that the few who have engaged in violence did so following repressive acts by security forces. 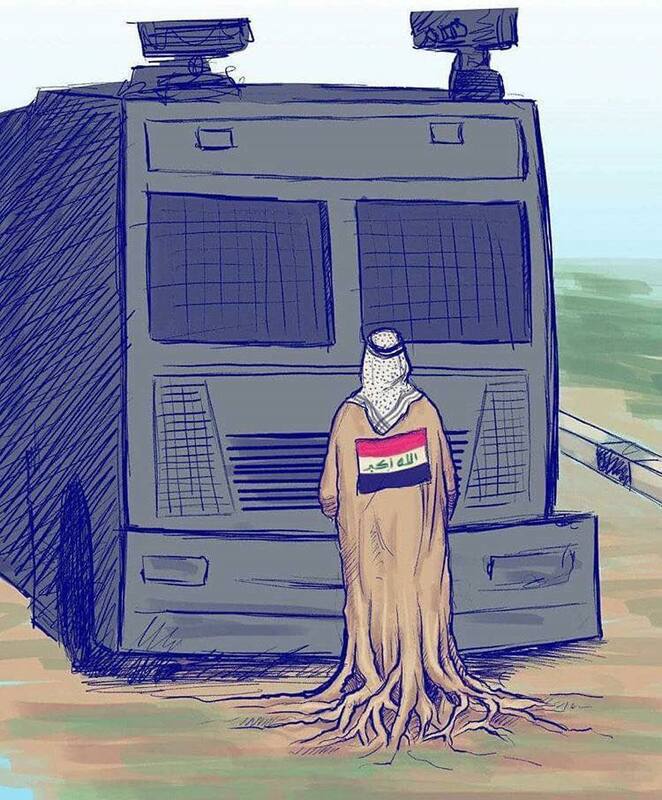 Despite the absence of one, unified leadership of the demonstrations, as there has been in Iraqi demonstrations of past years, there are local organizing committees scattered throughout the provinces in revolt and these committees are able to coordinate their work. Young people play an active role in coordination, while tribal sheikhs have given their support, which plays an important role in inspiring the protests and giving them great momentum. The official and non-official government operations to suppress the demonstrations have now expanded to monitoring the movements of all the activists who participated in the demonstrations or had a hand in organizing them. Many arrests have been made and individuals have been forced to write pledges not to demonstrate under pressure of torture and threats of extortion. 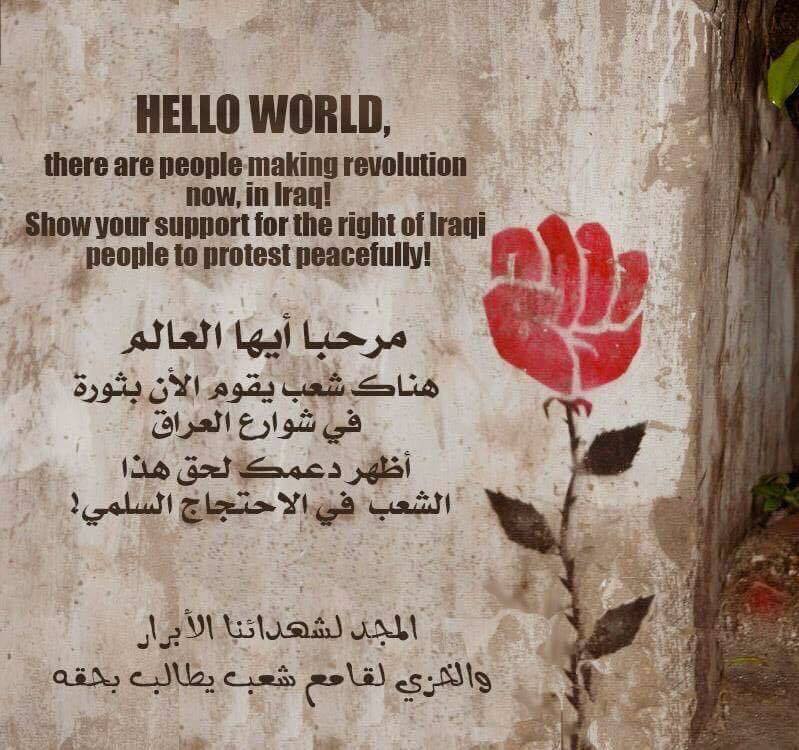 All this is being done to silence the protesters’ voices and stop the movement that is growing throughout southern Iraq. In addition, there is evidence that militias and armed gangs from outside the official state system, many of them affiliated with powerful political parties, are participating in suppression of demonstrations and intimidation of protesters. These gangs and militias operate with impunity before the eyes of the government forces. 1 – Order their security forces to cease the use of live bullets or excessive force against the protesters and demonstrators, and to hold accountable all who do or have done so. 2 – Open an investigation concerning the victims killed or wounded in recent protests and insure that there will be trials of those who were responsible. See that the families of these victims receive appropriate compensation for their losses. 3 – Release all those who have been detained in the past two weeks for helping to organize or participating in the protests in the southern provinces of Iraq and in Baghdad. 4 – Ensure the safety of the nonviolent protesters: do not to intimidate, threaten, or expose them to danger. Publically declare Iraqis’ rights to freedom of assembly and peaceful protest, and abide by this declaration in practice. 5 – Open dialogues with the individuals and committees coordinating the demonstrations to hear their demands. Commit to transparency in addressing these demands, especially those concerning fighting corruption and providing services to all citizens. The alliance also calls on the international community, especially the UN Assistance Mission for Iraq [UNAMI], the European Union Mission, and international human rights organizations, to investigate thoroughly what is happening in Iraq, particularly with regard to violations of human rights. We call on all these institutions and organizations to intervene with the Iraqi government to discuss the demands presented in this statement and to insist that the Iraqi government abide by its constitution and the international human rights conventions it has signed. The alliance is ready at anytime to join in dialogue with any of the concerned parties.